Even Bristol City Council’s own external auditors, BDO, have CONDEMNED the incompetent management of Bristol Energy, the council’s laughing stock energy reselling business that started trading in 2016 and has cost us about £25million so far. This business plan, signed off by Nicki “Chocolate” Beardmore, the Reverend’s golden girl senior manager on £300k a year, said they would MAKE a 12% return on investment after 5 years and 35% after 10 years. Instead, the company reported a LOSS of £3million last year and £7million this year. 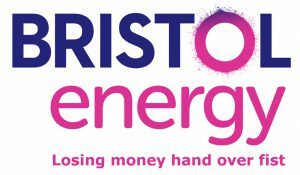 With 110,000 customers and an initial investment of £15.3million by Bristol City Council, this means Bristolians have SPENT £139 for each customer and then Bristol Energy has generated a further LOSS of about £70 per customer. Top work! The auditors are now applauding the inevitable arrival of a team of CONSULTANTS from London to pick over the bones of this CORPSE and personally cash in on the shambles. “Independent Advisors and external consultants have been commissioned to provide advice on how the governance arrangements for the Group could be improved and financial and commercial advice to optimise value in the delivery of the Council’s investment and ensure that the Council achieves the best value for money outcome,” they claim. When are we going to get a decent, decisive politician willing to pull the plug and shut down this miserable money pit shambles devised by idiots? This entry was posted in News and tagged Auditors, BDO, Bristol City Council, Bristol Energy, Business plan, Consultants, Loss, Marvin Rees, Nicki Beardmore on March 4, 2018 by thebristolblogger.